Thanks for helping us out with identifying sounds recorded at the club sanctuaries and other sites. This document should serve as a guide to getting started. 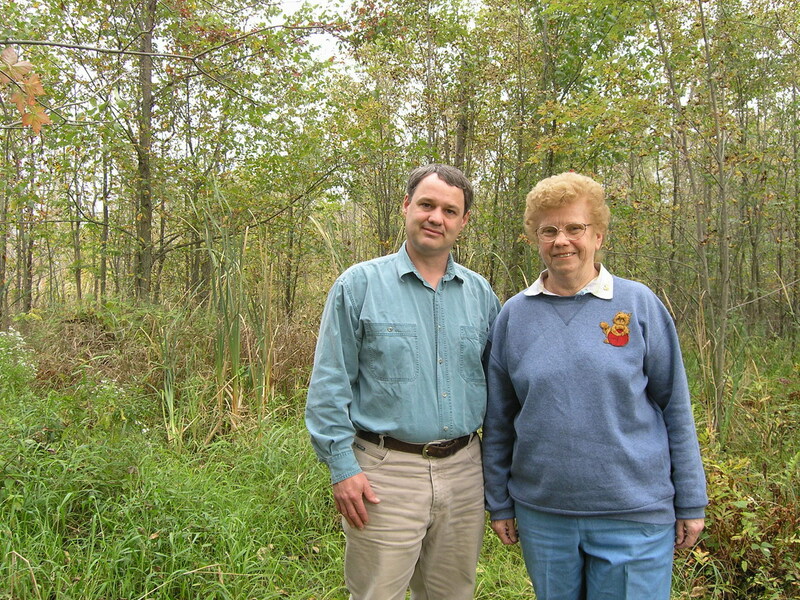 Other seasons: you should be able to identify at least one broad group of species sounds: e.g., amphibians, birds, grasshoppers, katydids, bats, etc. If you already have Audacity, please make sure it is v2.3 or higher. 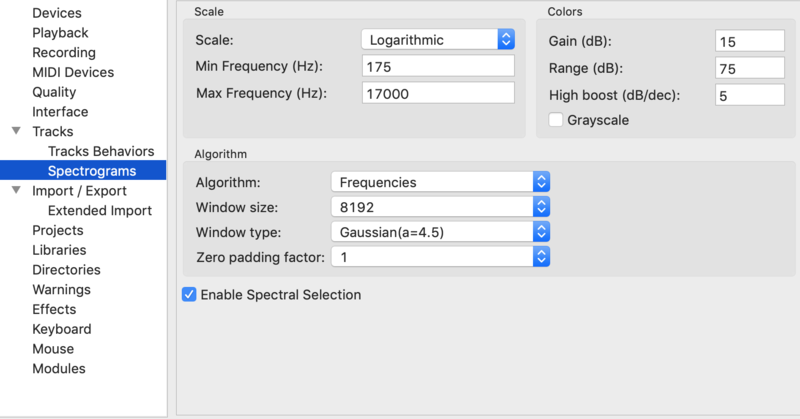 Make sure “Enable Spectral Selection” is checked. This will allow you to highlight where in the frequency band a specific species is. You might want to switch the Theme from Light to Dark depending on your personal preferences. Sometimes dark can be easier on the eyes. First you’ll need some audio files to download. Normally you’ll visit the URL of the day you’re looking to cover, and download the files in the format that best suits you. There are many formats, you only need to choose one type. Which type you download is up to your preference, which I go into more detail about below. For the balance of quality and file size, the MP3 files are fine, if you have a very high speed connection and prefer to work with the absolute best quality, the FLAC files are “lossless” and thus no quality has been lost in compressing the file from its original format (WAV). If you’re on limited bandwidth, the OGG files are the smallest but may not be the clearest. All of these types will open in Audacity. Once you’re done a trial run through the files suggested above with the instructions below, please contact me to let me know you’re ready — there’s some survey dates you can choose from at the bottom of this page. Once downloaded, open one of the files from Audacity. If you downloaded the HNCSW1_20190108_084005 file as mentioned earlier, it should have some activity on it, so you shouldn’t have to slug through too much silence before you get to something. With the exception of the note below, you might be ready to start! The file will open with “stereo” channels. While the audio was recorded in mono, the file conversion process on archive.org splits this into two tracks. It is much easier to work with if you eliminate one track first. On the left side of the track display (should say “HNCSW1_”) click the down arrow and select “Split Stereo Track”. This will split the view into two tracks. Now click the “x” on one of them, so you are left with a single track. 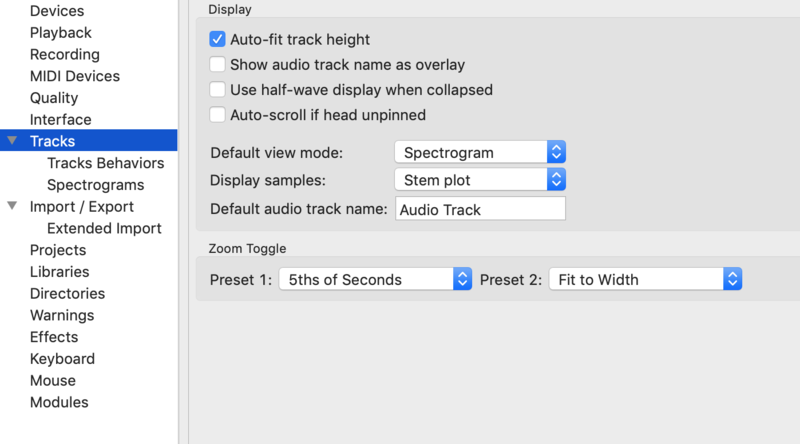 Since it would take far to long to listen to the whole files (40 minutes per file, plus time identifying things), you’ll be browsing through the spectrograms. Hit the Zoom Toggle to scale the view to see only 30-45 seconds at a time. Now scroll through the view, by either clicking or dragging the scroll bar. I’ve found clicking to be better, as scrolling can be dizzying after a time. Click on the far right of the scroll bar to advance a page, on the far left to go back. If you see something you want to listen to, click on the time bar at the top at the point you’d like to hear. It’ll start playing right away. You can use the space bar to pause when you’d like it to stop (or the stop button). Using this method you can get through “quiet” parts of the file very quickly. You’ll likely notice a lot of human-caused background noise (especially in urban sanctuaries), but after not long you should be able to identify the different background sounds that you can ignore — planes, trains, cars, etc. Thankfully for the most part they look quite different than birds and mammals in a spectrogram. Once you see something of note, make a selection of it. Some might be short — a second or two, some may go on for minutes. Start at the leftmost position, dragging the mouse as to make a box around the sound in the spectrogram. If it goes on a long time, you can stop dragging the mouse, click as far right until you reach the end of the segment of sound, then hold Shift when clicking as far right as the sound segment goes. This will select the entire segment from where you started to this point. A selected spectrogram. This is a calling White-breasted Nuthatch that is fairly loud and likely close to the recorder. Once selected, if you are on Windows or Linux, use Control-B, on Mac, Command-B on the keyboard. This will create a label. The label will have a cursor, so you can now type in a description of what you hear, then hit Enter. 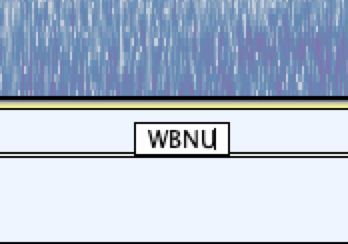 WBNU is the banding code for White-breasted Nuthatch. Throughout recordings there might be anywhere from zero to dozens of labels in a single file. The recommendations below are to help us convert these labels into observations easily both with software and manually after you submit the label files to us. For unknown sounds, simply use “unkn” as a shorthand. To add comments to the identification, you may just append them after the identification, e.g. “BCCH singing”, “AMCR very loud”, “CARW scolding call”. If a selection you feel is of very good quality, you may append an asterisk to the end of the label. E.g., “BEKI*” or “coyote chorus*”. High quality recording would mean that the sound is loud, clean without too much background noise, or is documenting something very notable that should be publicly shared (e.g. on iNaturalist or eBird). Even if you can’t identify the sound exactly and you think it to be natural, use this notation if it’s very clear. These are just guidelines however, which will help us automate the process of archiving each label as an observation. If something doesn’t fit into the above, feel free to make up a new convention that works. These guidelines will evolve as the project progresses. Suggestions are always welcomed. Under the menu, go to File -> Export -> Export labels…. Important: when saving the label, save it with the same name as the file it is for. For example, HNCSW1_20181217_004000.wav would have a label file named HNCSW1_20181217_004000.txt. That’s it! You won’t need to save this file as the label .txt file is the important part. 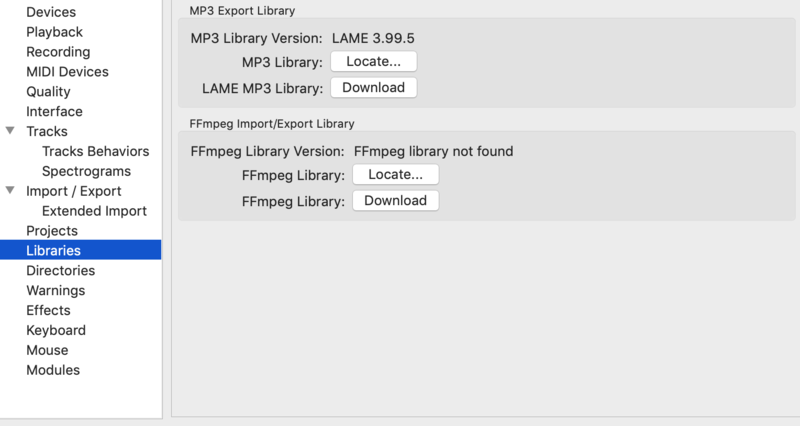 If there were any recordings on this file you’d just like to keep for youself, select the sound (clicking a label will select what it highlighted), and go to File -> Export -> Export Selected Audio…. For now you can send these label files by email. Just attach them — either as they are or compressed in a zip file, it doesn’t matter. If you are just doing the test file that was suggested above, you can email me your first label file to see if you got it right. Soon there will be an online system to submit the label files to. How long does it take to do all this? Every location will differ, depending on weather, season, and luck. A file with nothing of note can be breezed through in a couple minutes once you’ve learned the process. A file with a couple dozen items might be a few more minutes. An entire day worth of files may range from 2-3 hours or more depending on the level of activity, perhaps less if it’s full of rain or just generally an inactive day. In many case we have certain times of the day or certain days that are higher priority for review than others. This helps us narrow down our focus to ensure we get good coverage. 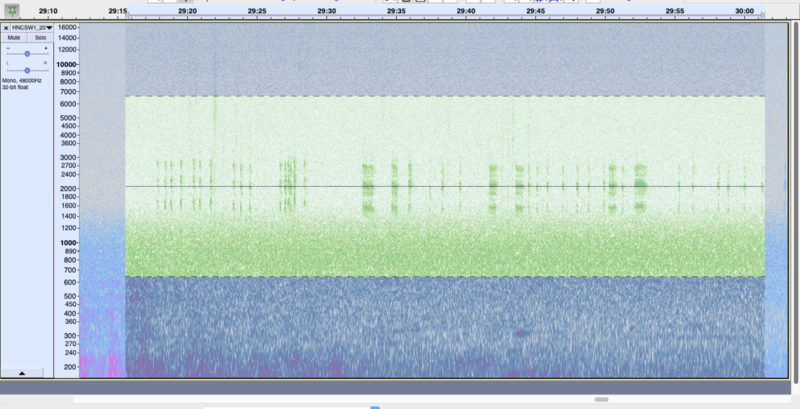 We’re also in the process of creating another “quick” review method for densely-packed audio files, such as birdsong during migration and breeding season. Please email Rob Porter <rob@inpictures.ca> for to get started on the project. We now have an online system for submitting labels, and for assigning priority files for review.